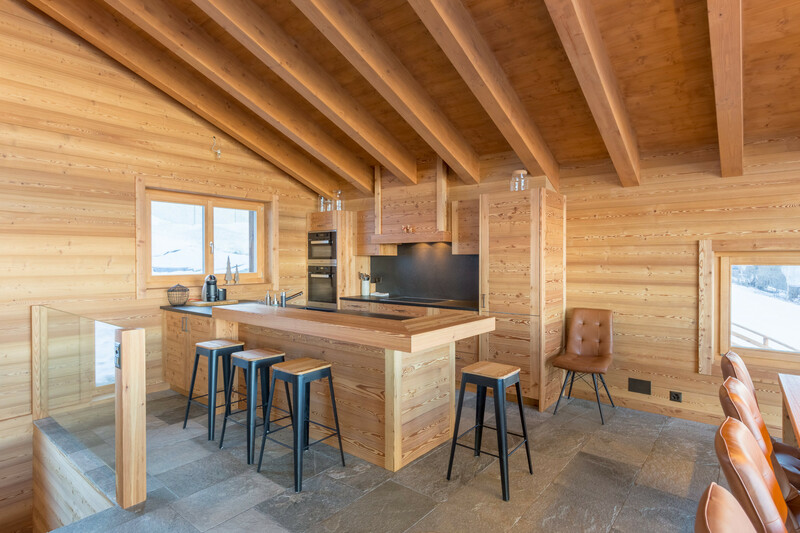 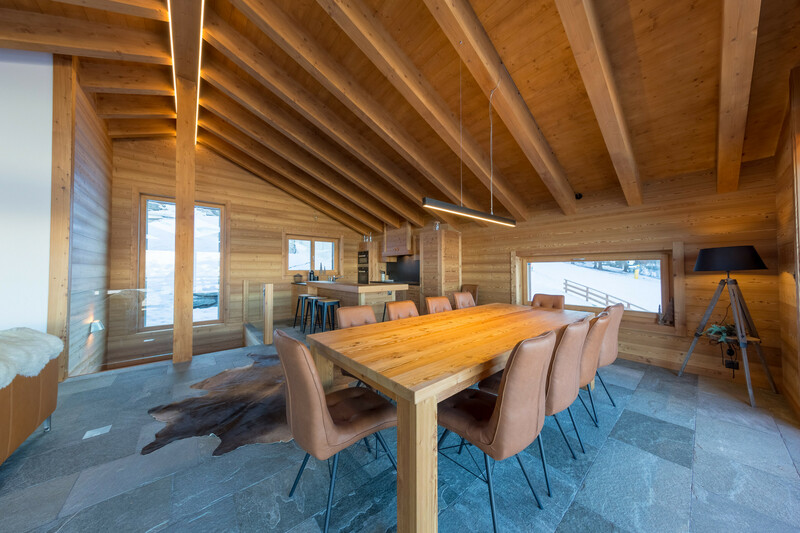 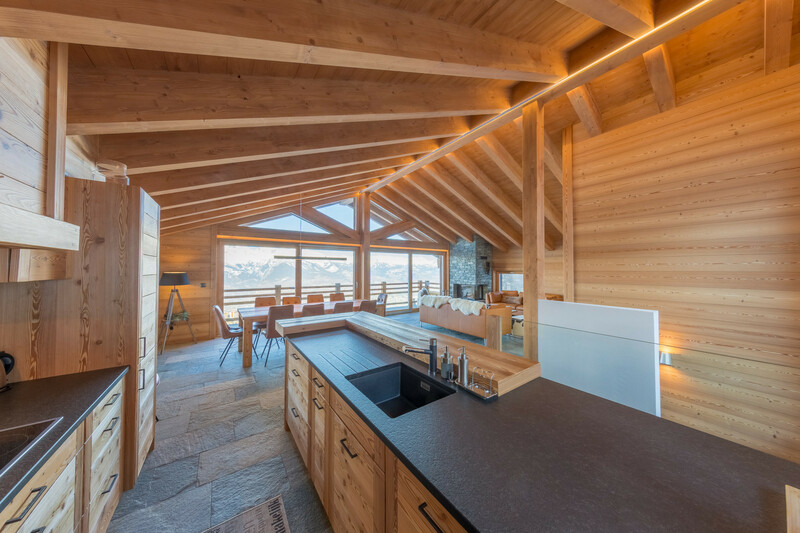 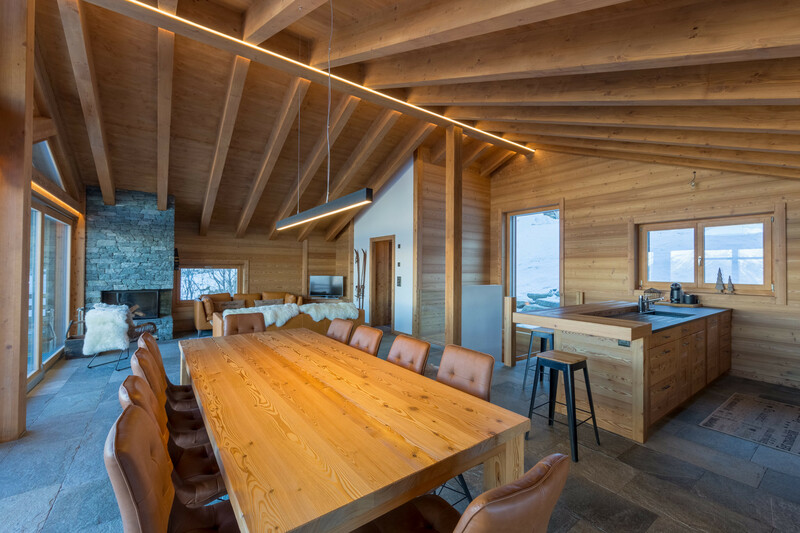 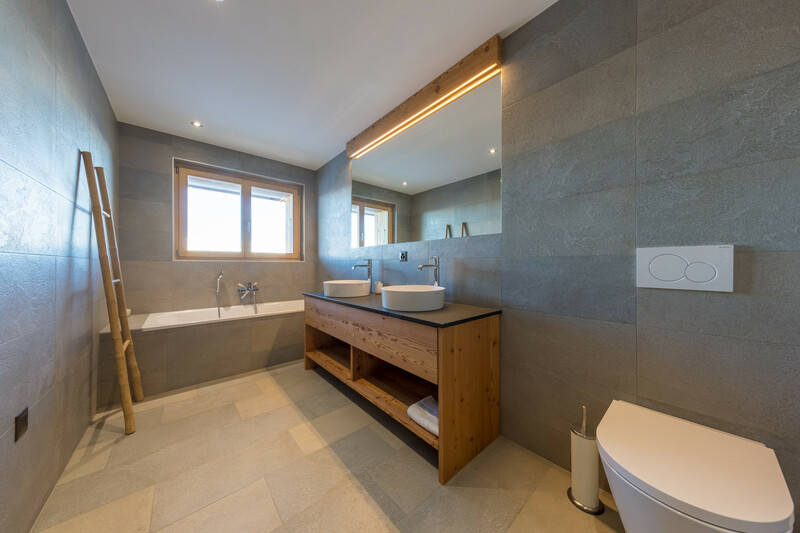 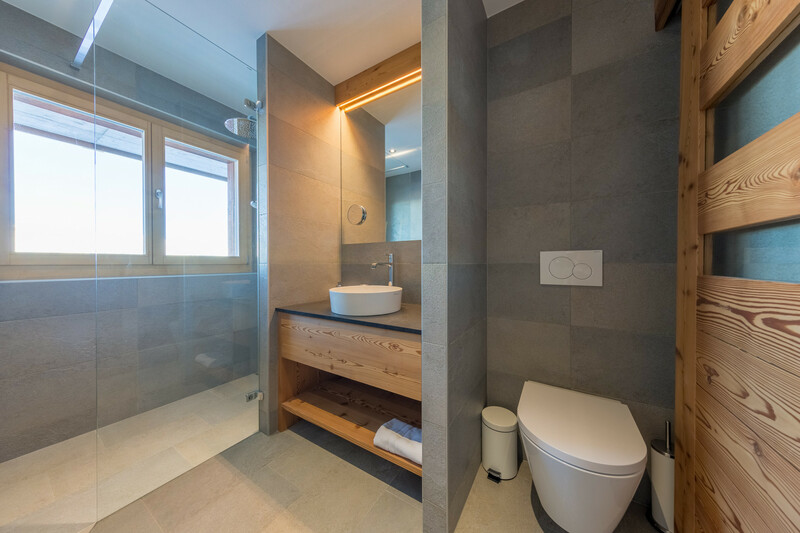 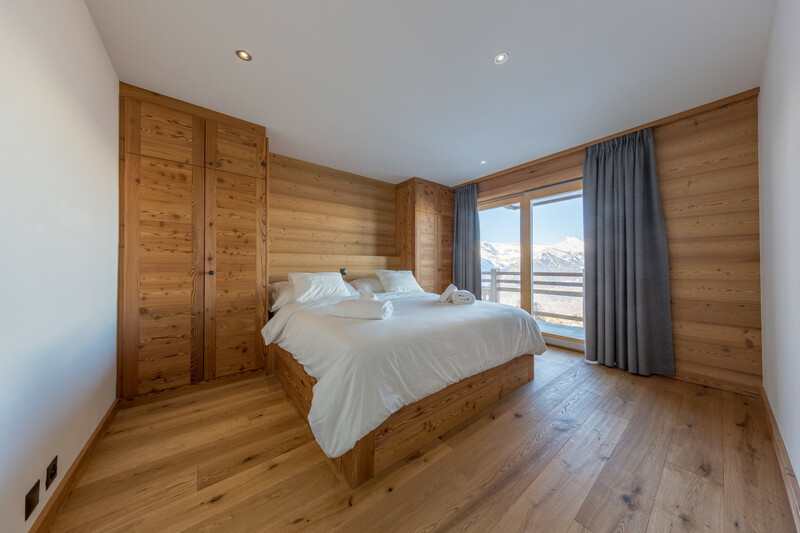 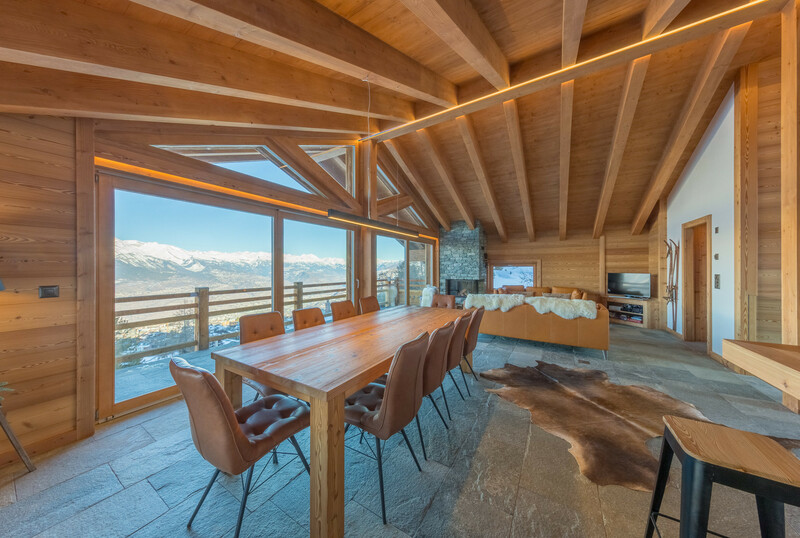 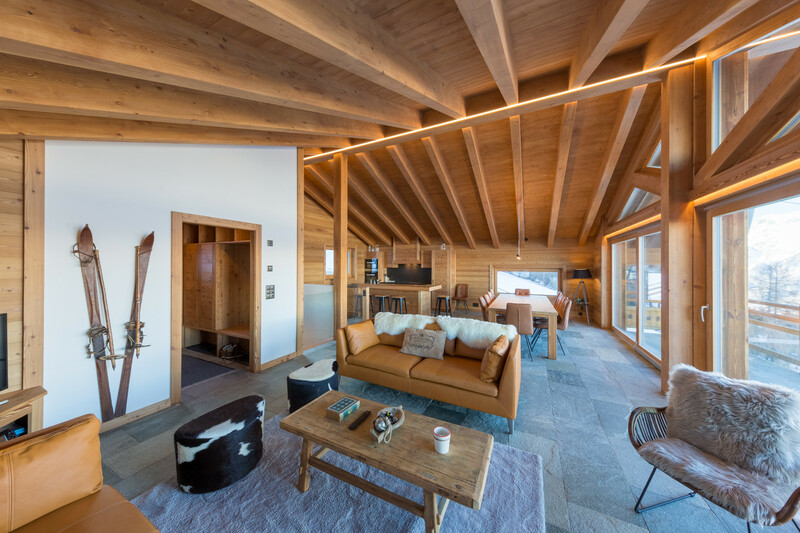 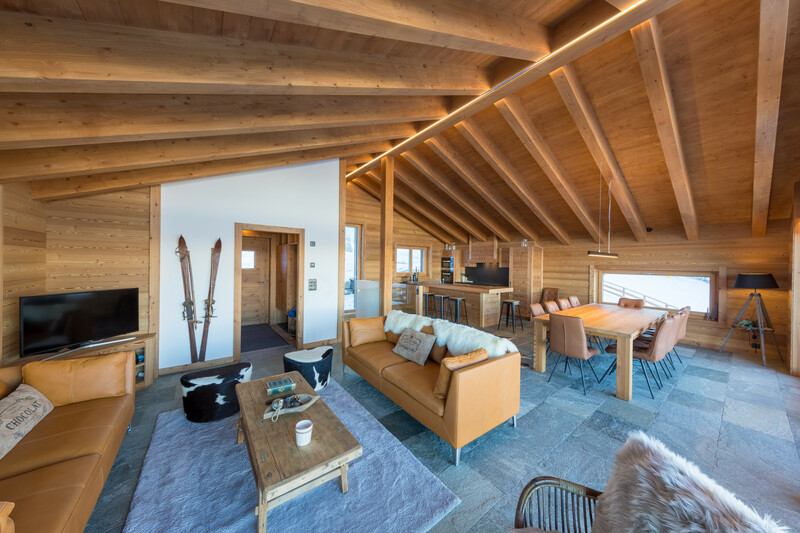 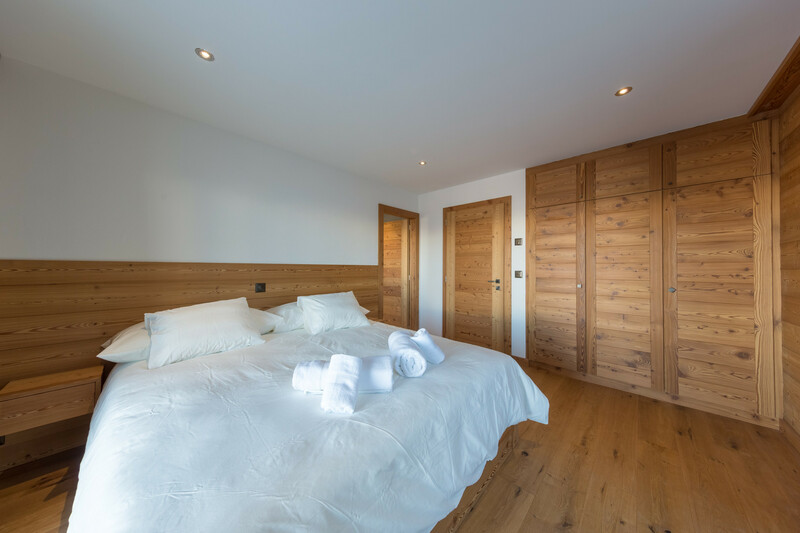 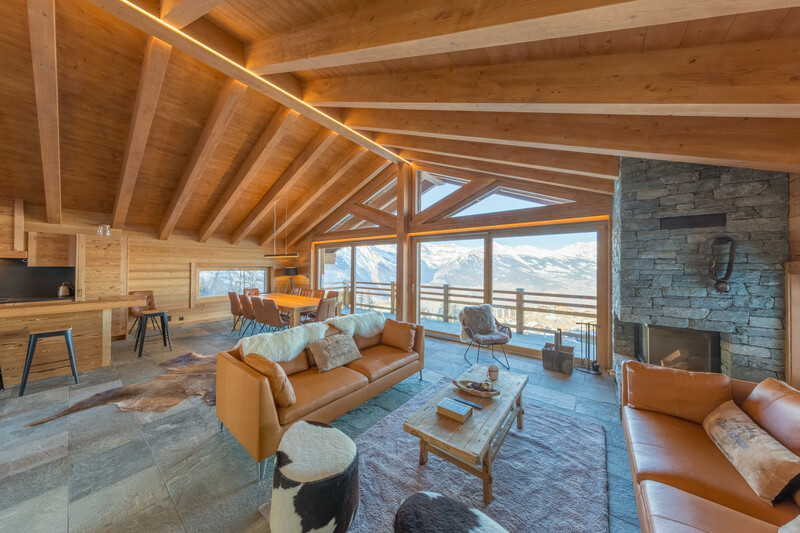 Brand new chalet for 10 persons on the ski slope of Nendaz. 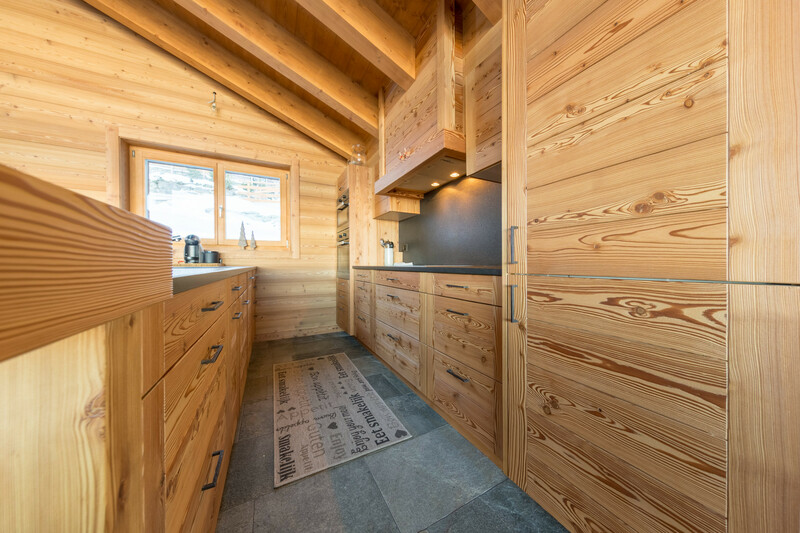 Easy access with the car to the chalet and real ski-in/ski-out property. 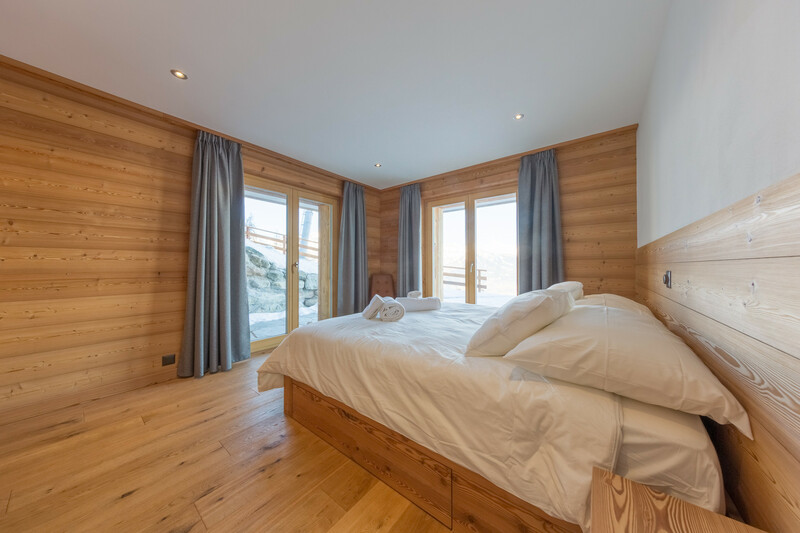 5 bedrooms, 4 bathrooms, sauna area, fully equipped kitchen, living area. 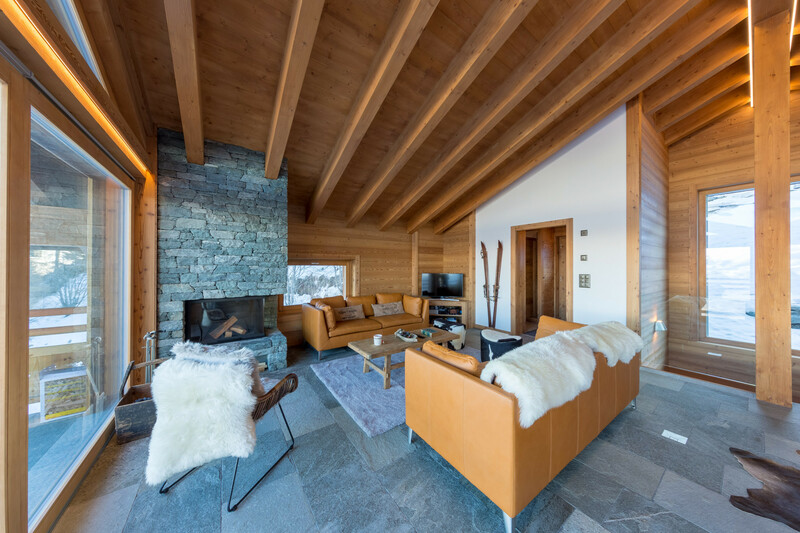 Spacious living room with fireplace and large windows overlooking the ski slope and the Alps. 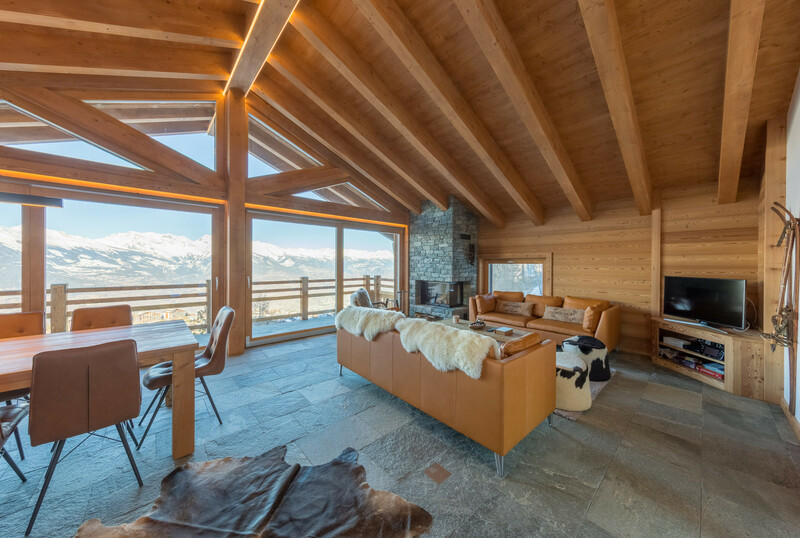 5 bedrooms-4 bathrooms spread over 2 lower floors. 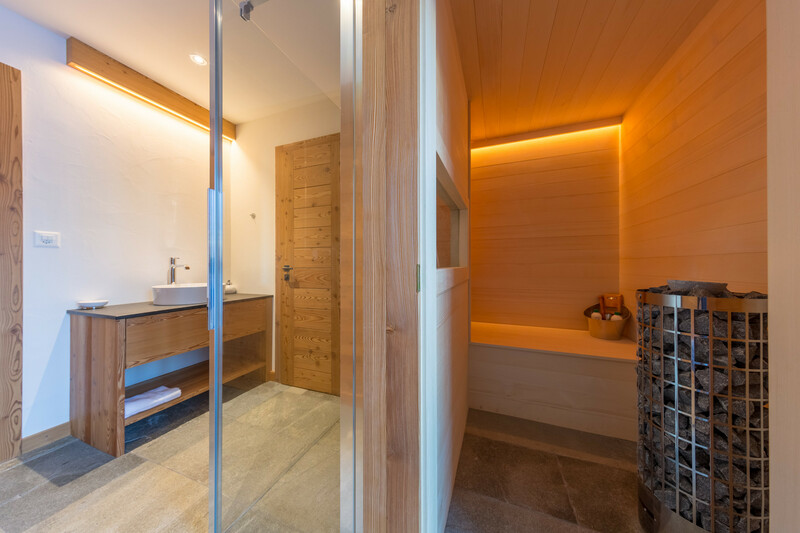 1 bathroom with shower, toilet and a sauna. 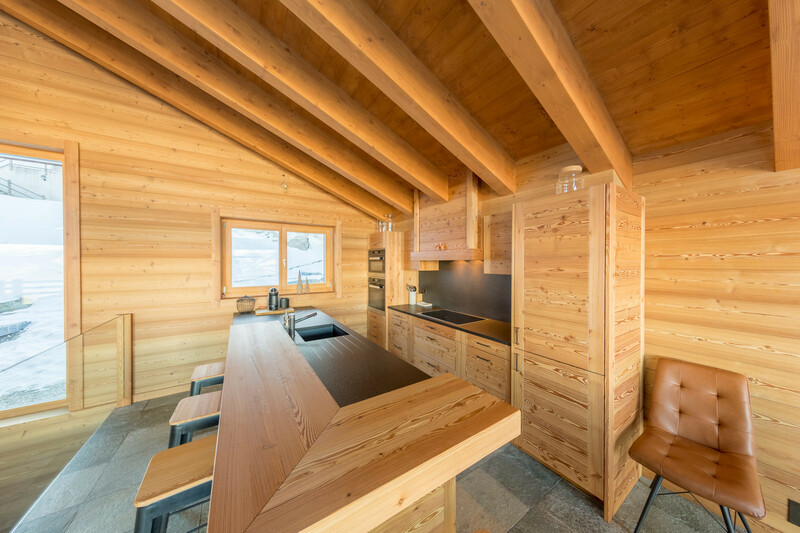 Induction hob, dishwasher, Dolce Gusto coffee maker, toaster, kettle, 2 ovens, raclette and fondue set. 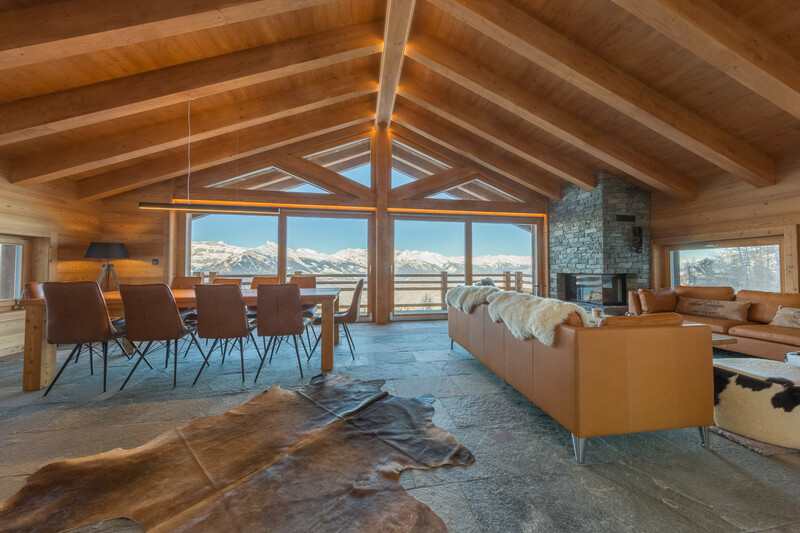 This property is also easily accessible in the winter. 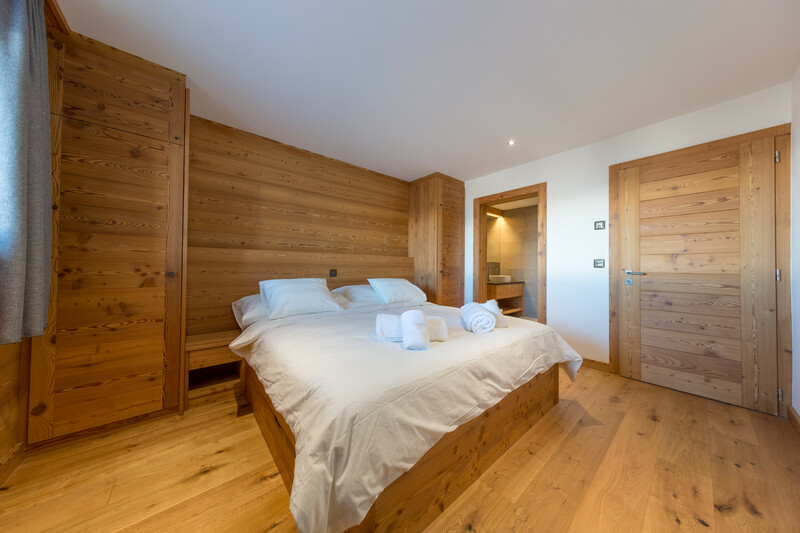 We offer you a cot and a highchair for free. 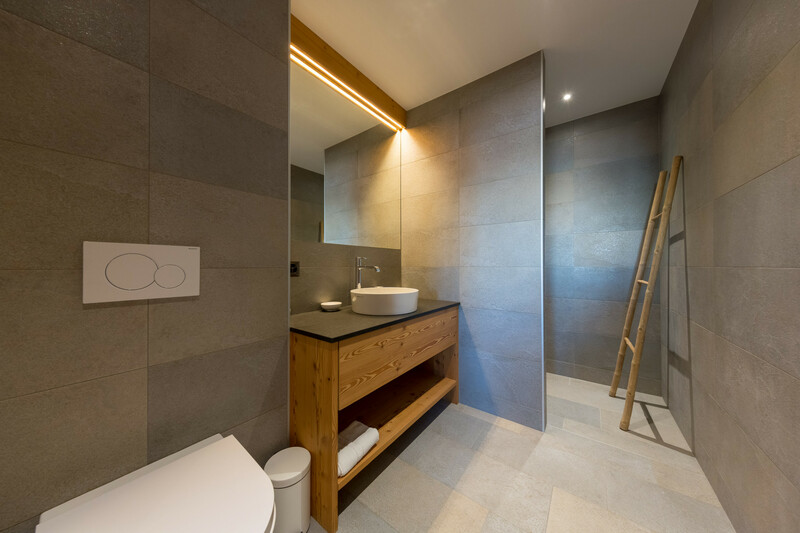 The only thing you take with you are the sheets and blanket for the baby. 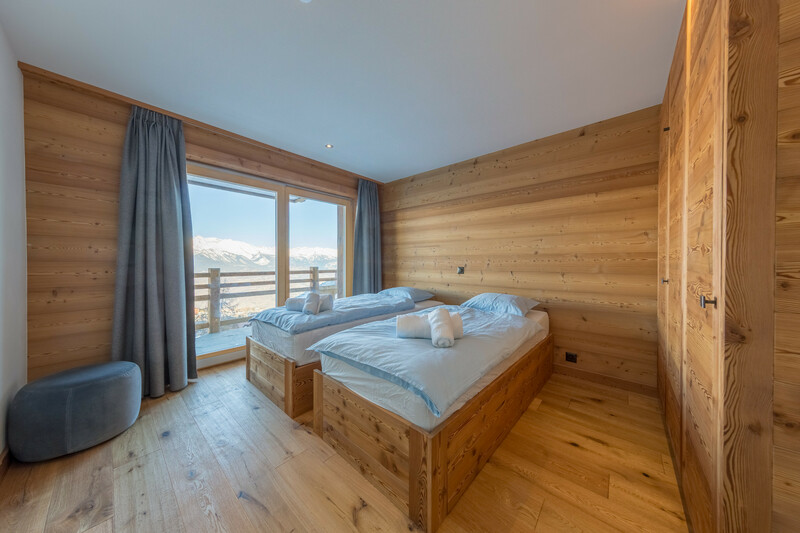 3 King size beds, 2 Single beds, 2 Bunk beds. 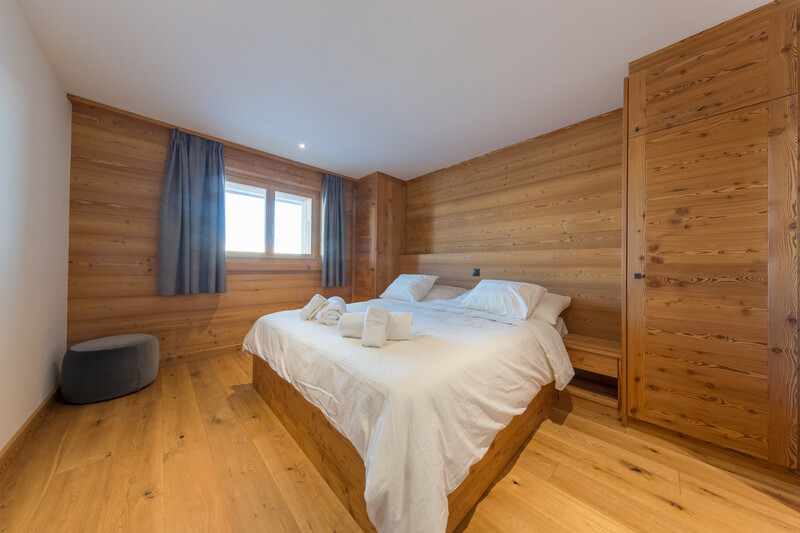 TV, DVD, fireplace, iron, internet (Wi-Fi), hair dryer, balcony, sauna, 250 m² property, air conditioning (hot/cold), Open-air parking (2 places) in the same building.